Family Business. Gordon Company 1989. I remember this came up very recently, but I don’t recall what it was in connection to. I think it was a related movie on IMDB, but I’m not even sure of that. Maybe it had sufficient keywords in common with The Sting, but I can’t recall for sure and it wasn’t there when I checked. 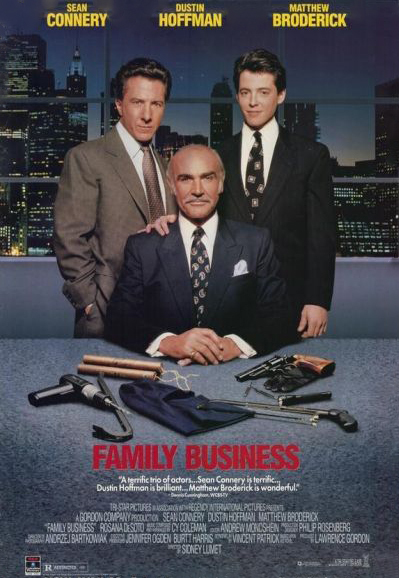 What I am sure of is that the idea of Sean Connery, Dustin Hoffman, and Matthew Broderick playing a criminal family running a caper was something I needed immediately. 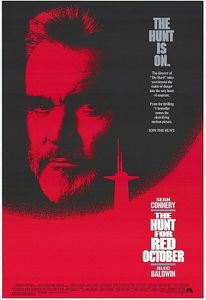 The Hunt for Red October. Paramount Pictures 1990. This movie stars Alec Baldwin and Sean Connery, is based on Tom Clancy’s work, and the main thing I’m thinking about is that the plot reminds me of the Star Trek episode “Face of the Enemy”. That’s how my mind works. 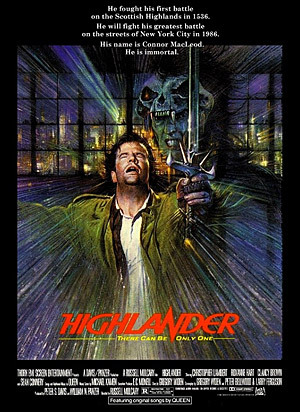 Highlander.Thorn EMI Screen Entertainment 1986. While I know the basics of the Highlander series, I’ve never seen the television series or movies. I know the fact that there are movies plural is bad, but this is the good one. I guess the plot is just a bad Immortal hunting a good Immortal, which as I understand it is pretty much the television show boiled down into a one-installment plot. 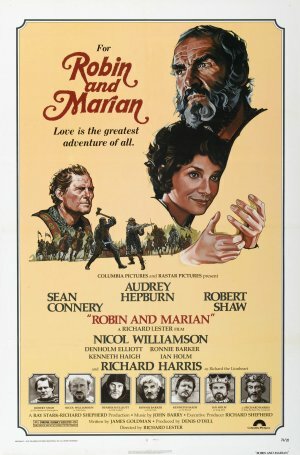 Sean Connery mentors the centuries-old main character, because he needs training for some reason. It sounds like an excellent example of modern fantasy or magical realism, depending on how much the Immortals’ magic is involved. Robin and Marian. Columbia Pictures 1976. Remember the story of Robin Hood? Forget it. Well, don’t forget it, because this is a sequel. To the fable. The story you know is the backstory. If Robin Hood was Sean Connery. And it happens all over again. That’s the impression the box gave.